I have been so impressed lately with what’s been released from Shop Miss A’s house brand, AOA Studio. If you’re unfamiliar, Shop Miss A is basically an online beauty dollar store and they’re taking the makeup community by storm with their own cosmetics that are affordable yet high quality. I’ve shared some of my discoveries from them with you in the past, but even within the last year I feel like their quality has gone way up— but their prices haven’t! I’ve been trying out a lot of their new releases recently, but this handful of products really stood out. These have worked their way into my daily routine as I transition to Spring looks, and have really blown me away with their performance. 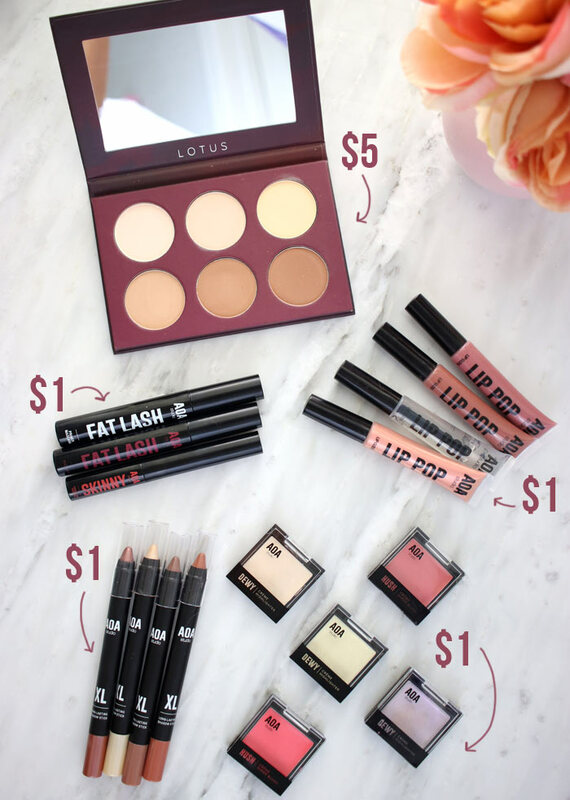 You’d never guess that all but one product cost just $1! 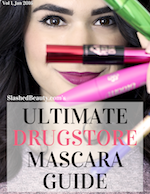 Keep reading for the new Shop Miss A makeup you need to check out ASAP! I didn’t have the best luck with the mascaras I tried from Shop Miss A previously, so I actually avoided trying these three until recently and am kicking myself. 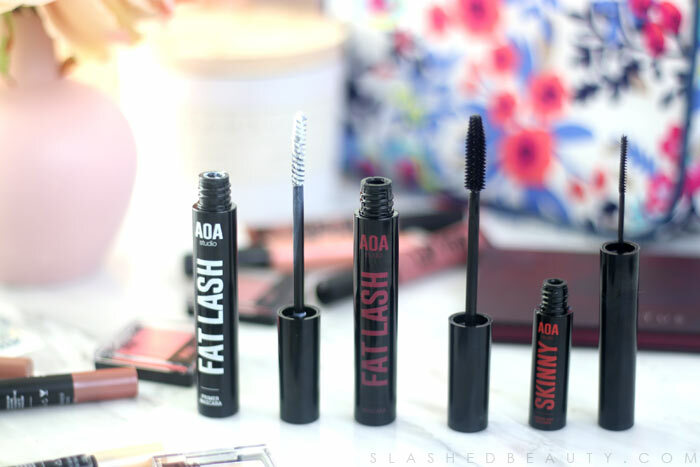 The AOA Fat Lash Mascara is freaking amazing, and outperforms a lot of high-end mascaras I own. The wand is perfect— comb style with a ton of bristles to really separate and coat the lashes, adding length and volume. 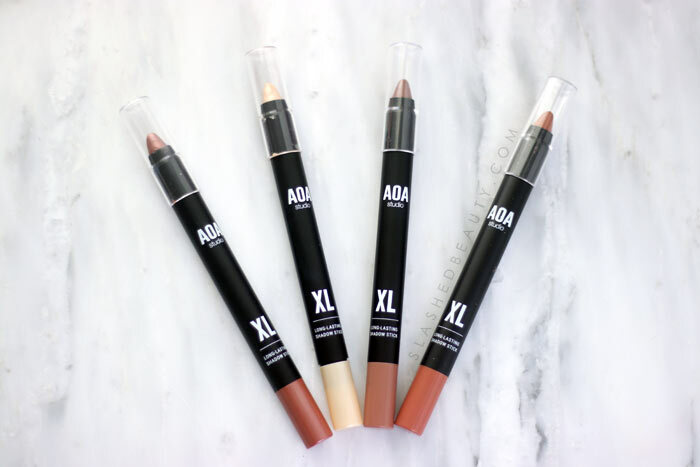 For a little extra boost, they have the AOA Fat Lash Primer Mascara which goes on before the black formula. This primer gives a little extra volume for a fuller effect. The AOA Skinny Mascara is perfect for the bottom lashes. You can get all the way up to your lash line and gently coat the lashes without clumps or fear of over-applying which is common when you’re trying to use a traditional wand on these finer hairs. When I use this, I never get the common under-eye mascara smudge. I am loving eyeshadow sticks for one-swipe shadow looks that add a pop to my eyes quickly. 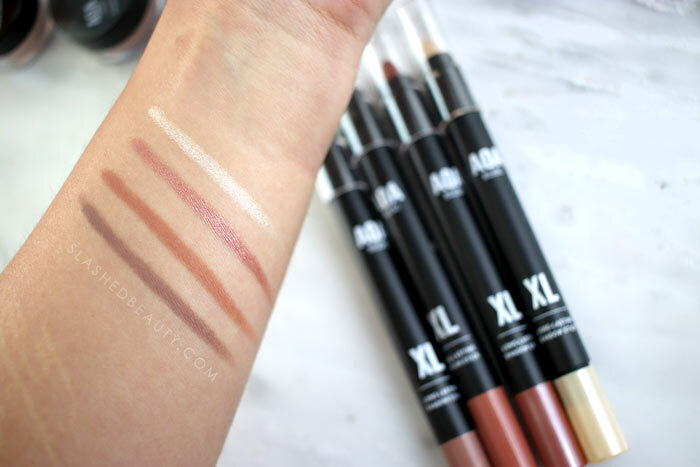 These AOA XL Long Lasting Shadow Sticks are no joke, people. Not only do they glide on easily with a lot of color payoff, but they don’t budge once they’re set. Like, even with a makeup wipe, these things don’t wanna come off. You’ll have to use coconut oil or a cleansing balm to gently remove it. 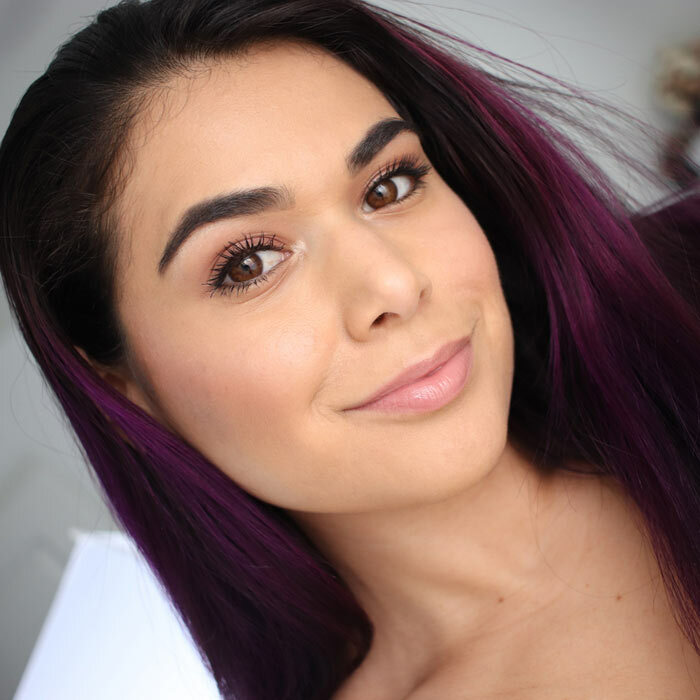 These are perfect for low-maintenance makeup looks that last. The shades swatched above from L to R: Matte Taupe, Matte Ginger, Shimmer Dama and Shimmer Twinkle. Cream face makeup is my jam, especially when my skin is actually looking a bit dull. Cream products add life back into my face and tend to look more natural. The AOA Hush Cream Sheer Blush formula is pigmented but easy to work with— use your fingers or a sponge to apply and add a flush of color to your cheeks. They go on sheer but can be built up for more intensity. The shades above are Cupid (medium pink) and Passion (hot pink). The lightweight formula blends into the skin seamlessly and lasts all day. 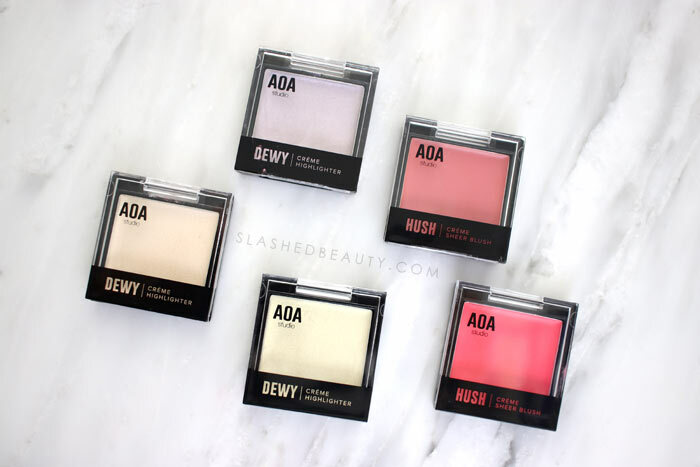 The AOA Dewy Highlighters are my favorite way to add a really natural glow to the face. It seriously makes my skin beam. This formula is a bit more slippy than the blush, but dries down to feel just like your own skin— never any residue. My favorite shade is Grace, which is a lavender tone. Haze is the bright champagne gold and Dream is a pink with gold shimmer. I only recently became a fan of lipgloss. 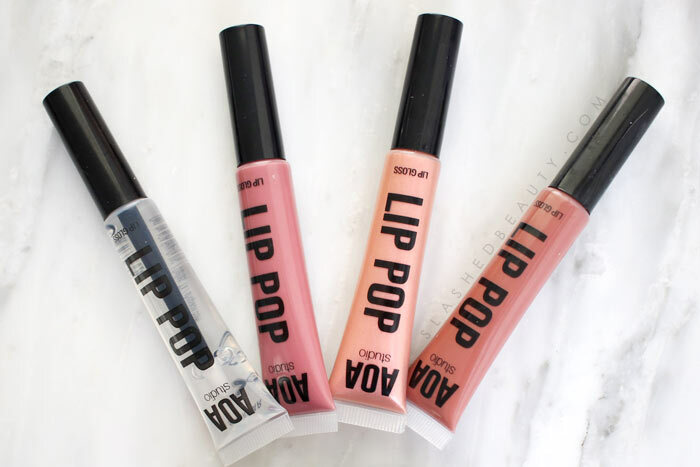 Finally, there are formulas out there that aren’t sticky and thick, including the AOA Lip Pop Lip Glosses. 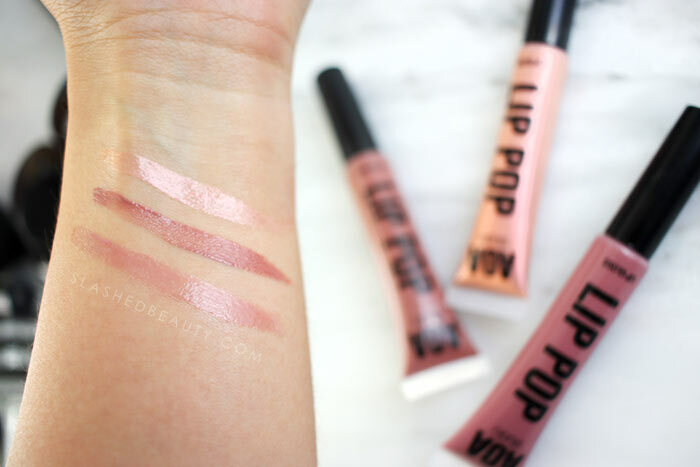 These are super comfortable glosses that are actually moisturizing with a balmy feel that’s on the thinner side. The shades I have (swatched top to bottom) are Goddess, Starlet and City Girl. Starlet is the perfect everyday neutral that goes on a bit sheer but still gives definition to the lips. 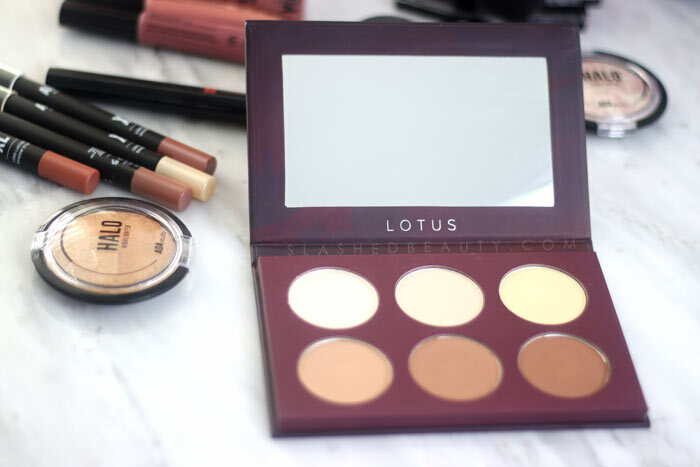 Finally, and the most “expensive” new fave from Shop Miss A is the a2O Lotus Contour Palette. At just $5, you get six sculpting shades. 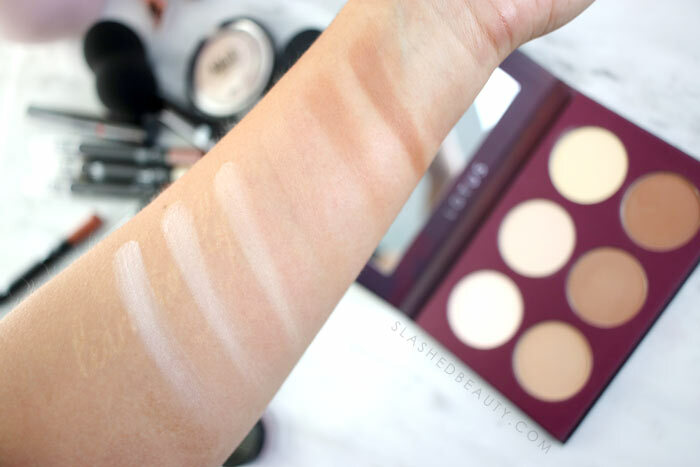 There are three contour shades and three matte highlight/setting shades— but the palette still leans pretty light/medium. I’d say my own skin tone and maybe a few cents darker is the cut-off for having the contour shades really work for you. The powders are silky smooth, easy to blend and buildable. Above I’m wearing the XL Shadow Sticks in Shimmer Dama & Shimmer Twinkle, Fat Lash Mascara & Skinny Mascara, Lotus Contour Palette, Hush Cream Blush in Cupid, Dewy Highlighter in Grace and Lip Pop Lip Gloss in Starlet. I’m so excited about the way Shop Miss A has expanded their in-house makeup lines, and they are definitely becoming worthy rivals of other budget-friendly online brands. 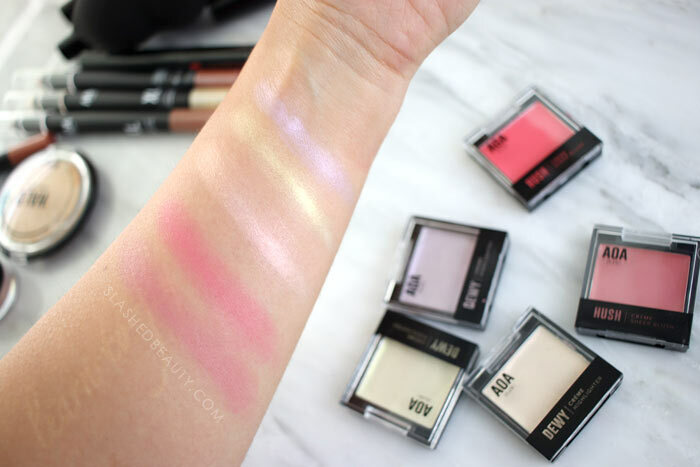 Have you tried any makeup from Shop Miss A yet? Thanks for sharing this brand I haven’t heard of it before so I’m excited to try out a few products especially with these prices. I am a huge fan of eyeshadows sticks and lipgloss so I definitely want to give those a try at some point. I hope you try them and review them yourself! I can’t get over the prices and the products themselves look really beautiful. I will definitely be checking out this brand. I love the eyeshadow sticks! They look nice. Wow, thank you for introducing me to this! 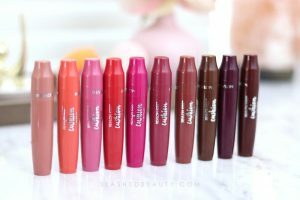 I want the eyeshadow sticks and Lip Pops! Id be interested in the Mascaras! I’d prob pass on the cream makeup since im not good at putting it on. Very impressive at those prices. I’d like the cream blush a lot. What amazing prices! Those Lip Pops are so pretty!